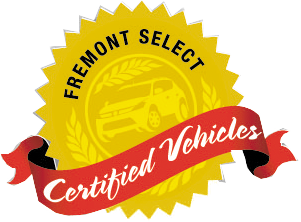 Fremont Certified, LOW MILES - 50,004! 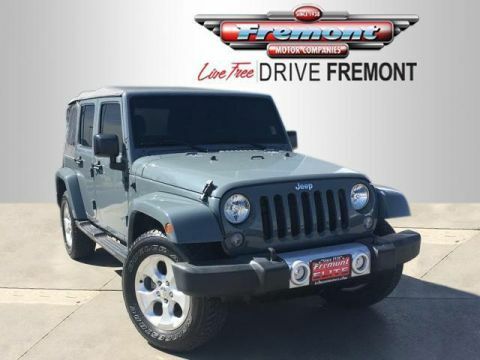 WAS $27,999, $2,000 below Kelley Blue Book! Alloy Wheels, Tow Hitch, 4x4, CD Player CLICK ME! 4x4, Satellite Radio, CD Player, Aluminum Wheels. 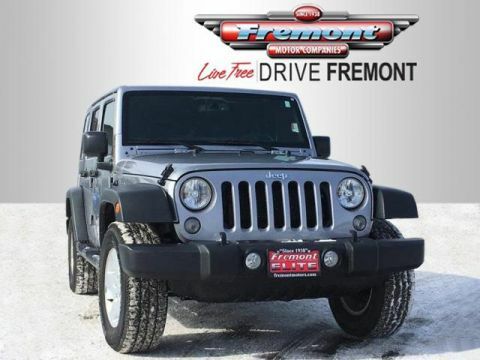 Child Safety Locks, Steering Wheel Controls, Rollover Protection System, Electronic Stability Control, Bucket Seats. 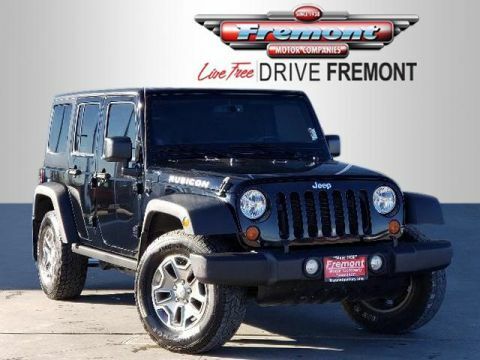 QUICK ORDER PACKAGE 24K WILLYS WHEELER Engine: 3.6L V6 24V VVT, Transmission: 5-Speed Automatic (W5A580), Low Gloss Black Wrangler Decal, Rear Passenger Assist Handles Kit, For More Info Call 888-539-7474, Willys Wheeler Package, BF Goodrich Brand Tires, Deep Tint Sunscreen Windows, Rock Rails, 4-Wheel Drive Swing Gate Decal, Willys Hood Decal, Leather Wrapped Steering Wheel, Chrome/Leather Wrapped Shift Knob, Uconnect Voice Command w/Bluetooth, Vehicle Information Center, Remote USB Port, Tire Pressure Monitoring Display, TRANSMISSION: 5-SPEED AUTOMATIC (W5A580) Hill Descent Control, Tip Start, BLACK 3-PIECE HARD TOP Rear Window Defroster, Tinted Rear Quarter & Liftgate Windows, Delete Sunrider Soft Top, Freedom Panel Storage Bag, Rear Window Wiper/Washer, MAX TOW PACKAGE Class II Receiver Hitch, Trailer Tow w/4-Pin Connector Wiring, ENGINE: 3.6L V6 24V VVT (STD). 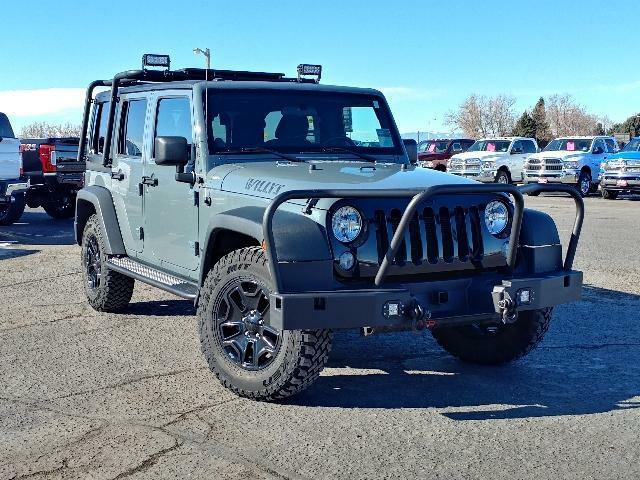 Jeep Willys Wheeler with Anvil Clear Coat exterior and Black interior features a V6 Cylinder Engine with 285 HP at 6400 RPM*. Reduced from $27,999. 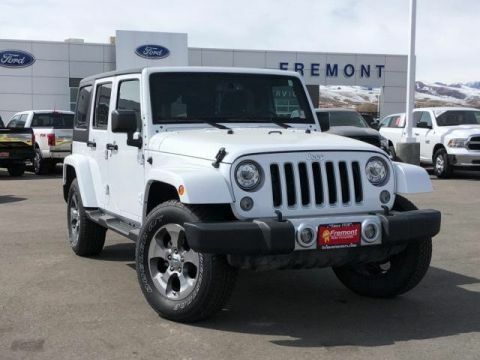 This Wrangler Unlimited is priced $2,000 below Kelley Blue Book.